Have you ever needed to use more than one template in a PowerPoint at the same time? 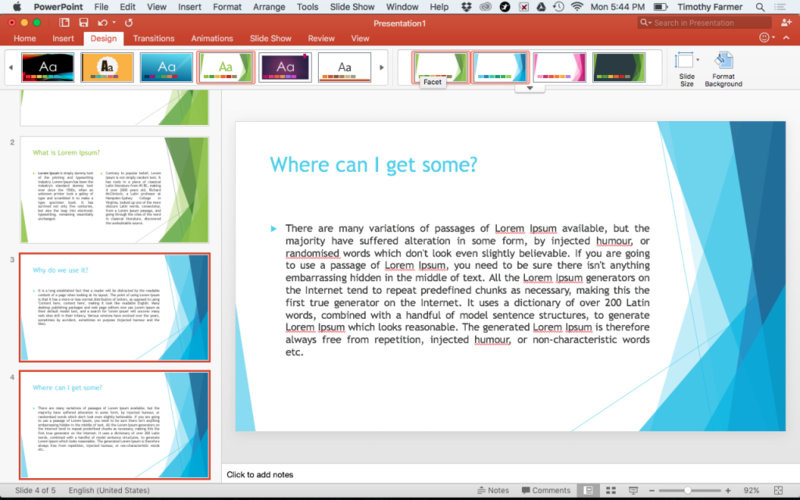 Well, PowerPoint 2016 allows you to do this. 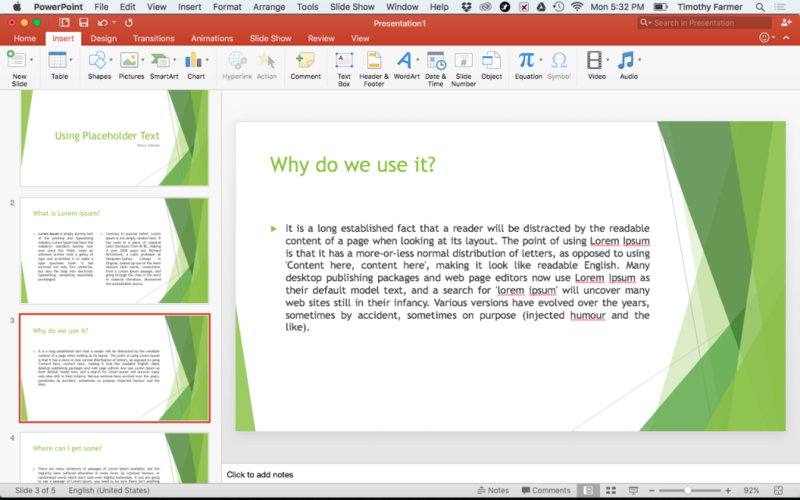 It is a good feature in the event you need to highlight or distinguish a particular slide or group of slides from others in a presentation. Here’s how this feature works. 1.) Open the PowerPoint presentation. 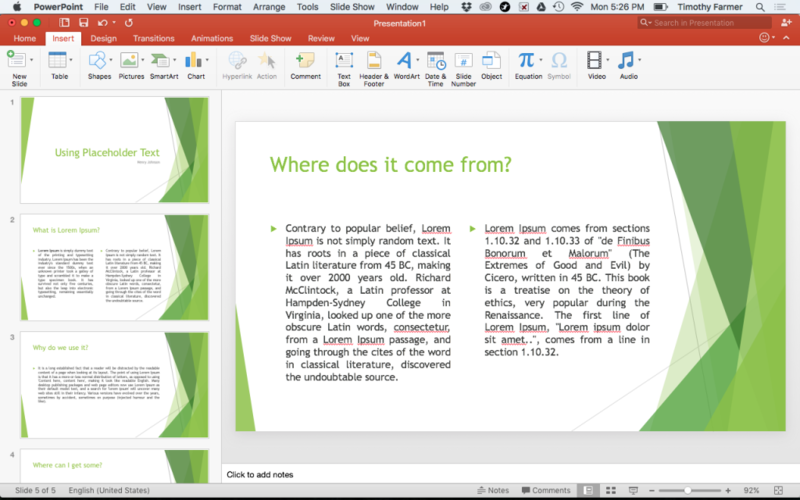 I’m using a Mac computer but this feature works the same on a PC in PowerPoint 2016. 2.) Select the slide for which you’d like to change the theme. The slide will then be outlined in orange. 3.) 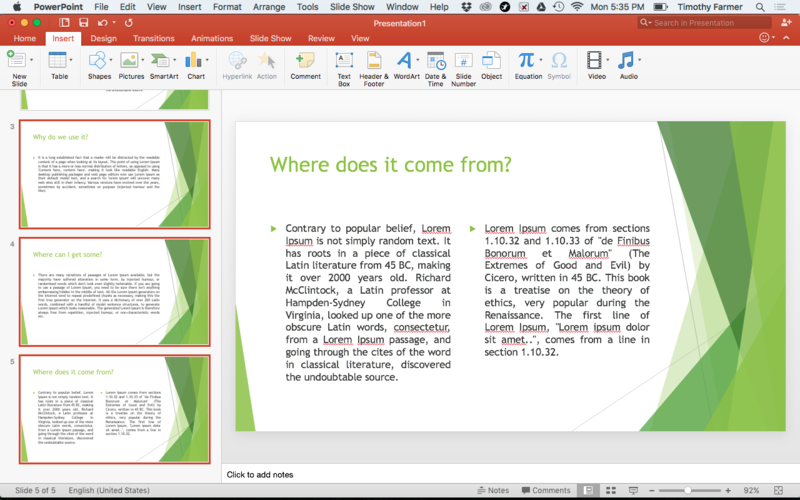 To select a group of slides, hold down Command on a Mac or Control (CTRL) on a PC as you select the slides for which the theme will be changed. 4.) Once your slide or group of slides are selected, Click on the Design tab. 5.) Select the theme of your choice for the selected slide or group of slides. That’s it! 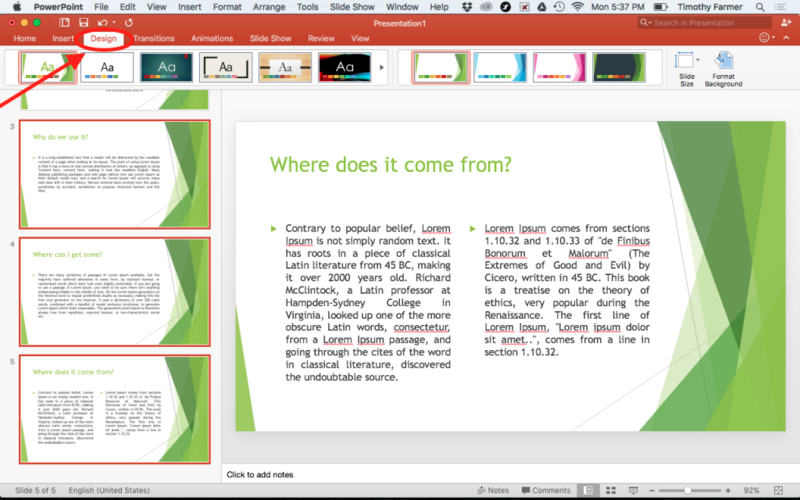 You’ve just learned how to use multiple themes inside of a PowerPoint presentation. If you need to use an additional theme in your presentation, just repeat these steps.